Today, Vermont tourists are the skiers, leaf peepers, summer visitors and outdoorsmen who come north for the state’s picture-postcard natural beauty and a dose of quaint history. That was hardly the case in the 1920s in Richford, where the town was something like the Las Vegas of its day. It offered ‘booze and broads’ smack on the Canadian border – a spot far enough from the long arm of the law that a speakeasy could prosper with little interference. Poker and drunken brawling were routine complaints in both Richford and Abercorn, across the border in Quebec. But the complaints didn’t deter the operators of the “line houses” that prospered along the border. At the train station in Richford, there was a steady flow of visitors hopping into cabs to catch a ride to Queen Lill’s. Queen Lill was Lillian Minor Shipley, who was born in Richford in 1866. She married A.G. Shipley, a shadowy character who sold patent medicines and had a reputation as a horse thief and a grave robber. Together they spent their time travelling selling patent medicines and Lill established a brothel in Boston. By 1910, however, they had worn out their welcome. 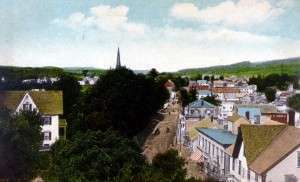 With Boston cracking down on the brothel trade, they returned north to Richford, which had the advantage of being remote, but located on the railroad line and just a stone’s throw from Canada. The proximity to Canada was crucial to Lill’s business, as prohibition was expanding in America. As more and more of New England went dry, places like Lill’s, that had access to Canadian liquor, prospered. And when prohibition became the law of the entire land in 1920, Lill’s business really took off. 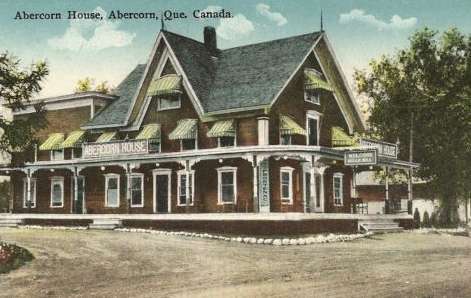 Travelers who just wanted a drink could take themselves to Abercorn, where the Prince of Wales, International House and the Abercorn House did a brisk business at their bars. Or they could visit a shack by the border crossing, called the Bucket of Blood, for a quick drink. But Lill had the added attraction of women. If you wanted women with your booze, you went to Queen Lill’s. Lill restored a three-story hotel that literally straddled the border with Canada. When she had trouble with law enforcement stopping regular deliveries of booze, she had a pipe laid that brought liquor underground to her building where it could be bottled for sale. Upstairs, she re-established her brothel, staffed by both locals and women she knew from Boston, and it operated with something like impunity as Lill’s was a popular spot for locals as well as visitors. Packing a pistol and an outsized personality, when threatened she would threaten right back. And she shared the wealth with local law enforcement, allowing her to generally stay informed in advance of any planned raids. Eventually, as law enforcement became increasingly worried about the influence of organized crime in the line houses, they came in for tougher policing. In 1925, Lill was finally charged, pleaded guilty and fined $150 for running her operation. But she stayed in business, however, right through the end of prohibition in 1933 when she finally shut down and retired to life on a farm. 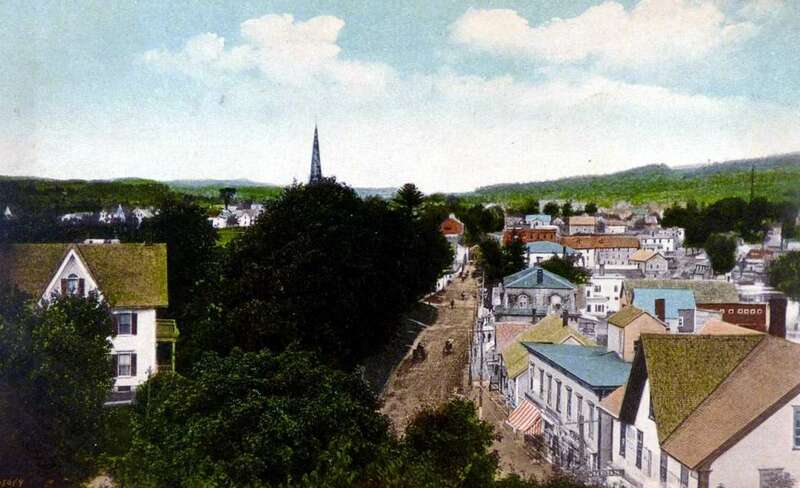 She was a well-known fixture in Richford and St. Albans until her death in 1941. When I think of my great grandparents (who were from Richford) this is not the picture I get from the stories in their dairies. Can you tell me more about what they write in their diary because I am writing a book about this story and I need more information about this ”lady” and about the great flood 1927. Thank you, I’m sorry about my english, I usualy speak french. I remember the boys in my high school class telling us about going up to the “Halfway House” on the Canadian border Derby Line where they could get served beer. Star Trek character? Yes Queen Lill? No I guess she didn’t have a good publicist.